It’s January, 3 a.m., and it’s dark outside; the streets of Sisters are empty and only a few soft lights are visible. Twenty-eight-year-old Angeline Agre pulls on her coat, trudges through the snow to a small storefront, and unlocks the door to her next adventure in life. 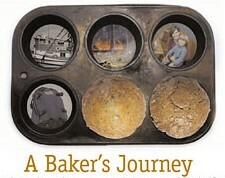 Angeline’s Bakery and Café brought live theater to Sisters last Thursday night. The Bend-based improvisational group Triage created an evening of audience-driven fun for the large crowd who gathered on the lawn behind the restaurant. Singer/songwriter/guitarist Jumpin’ Joyce Restess, who has been a part of the Central Oregon music scene for the past nine years, opened the show, inviting the audience to participate in a sing-along. Known for her improvisation, Restess effectively set the stage for what the evening would bring. “She likes to just look out and see what people are doing and maybe get some suggestions and just make-up a song,” said Triage’s director Rhonda Ealy. Ten years ago, Angeline Rhett could be found strolling through Sisters with a lunch cart, offering fresh, nutritious lunches for business people and visitors in town. It was the start of something big — though it didn’t seem like it at the time. This week, she’s celebrating 10 years in business in Sisters, and Angeline’s Bakery & Café is a thriving eatery and music venue. Angeline was working three jobs and was broke when she stated working out of the Northern Lights Bakery at 121 W. Main Ave. Soon, she was running the bakery, which the owner eventually sold to her for the cost of his equipment. She changed the name to Angeline’s and was off and running. She thought she’d have a quiet occupation that would give her plenty of time to hang out behind the counter and pursue hobbies. Open the door to Angeline’s Bakery & Cafe in Sisters, and it’s a double-whammy of sights and smells. 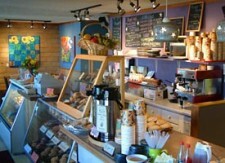 The colorful Sisters eatery features art on its walls and an array of baked goods, including scones, muffins, bagels and cookies in its cases. Add soups, daily specials like lasagna, quiche and sandwiches, and you’ve got Angeline’s. Actually, “You Were Meant For Me” works, too.